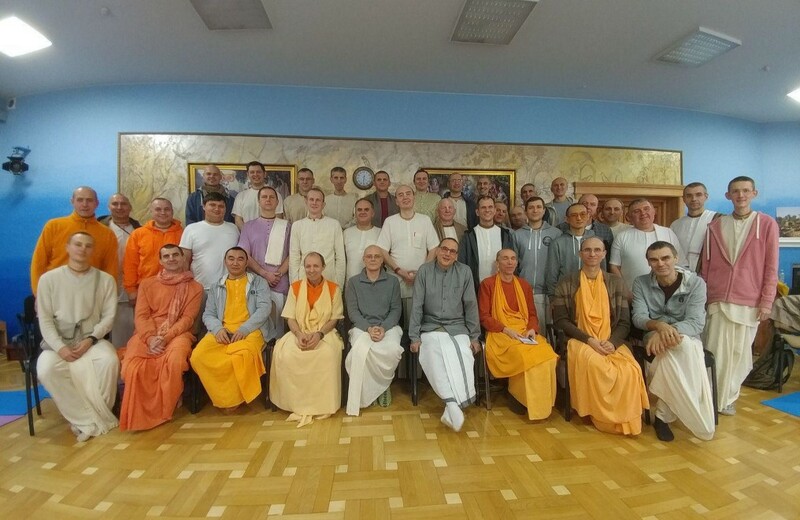 The group, which included among others Russian GBC Acyutatma Prabhu and three Russian sannyasis, had already gathered in Sochi, in the south of Russia, in June 2017, and now again came together to continue the training. The first six days, facilitated by Kaunteya Prabhu, aimed at both broadening perspectives and acquiring practical service tools. The devotees heard and discussed the role that the mental models of the leaders play in shaping the purity, direction and vibrancy of an ISKCON center or zone. In other words, the importance of the mindsets, attitudes and deep values of the leaders in forming a community and its activities. They also analyzed the seven levels of leadership leaders grow into, expanding their responsibility and mentality as the organization grows, moving from a “planter” who tries to convince individual people about Krishna’s message to a “guardian” who protects the siddhanta and other fundamental cultural parameters in the community. In this connection they also learned about the three phases of organisational development, from the pioneer efforts to the rational or administrative phase (in which roles and methods are clarified), to the integration phase, in which the enthusiasm and idealism of the beginnings is rekindled, but with the support of a mature organisational culture. The theme of Unity of Diversity, with its ramifications and subtleties, took some six hours to explore. This led into a discussion on who is a member of ISKCON and the introduction of ISKCON Connection (www.iskconconnection.org), the project to sign up as many general members as possible, to keep in touch with them and to keep them informed of ISKCON’s developments. The GBC College’s President, Rupanuga Prabhu, gave an online, live message thanking these leaders for being exemplary in focusing and emphasizing on training. The devotees then learned about the “Six Thinking Hats”; a method to prevent “spaghetti thinking” (in which different approaches of thinking clash and overlap during meetings) and help a group to achieve its decisions in a faster, smoother way. Besides learning about taking decisions, the devotees heard about the importance of systematically communicating the decisions to their constituencies and communities (“decision download”). 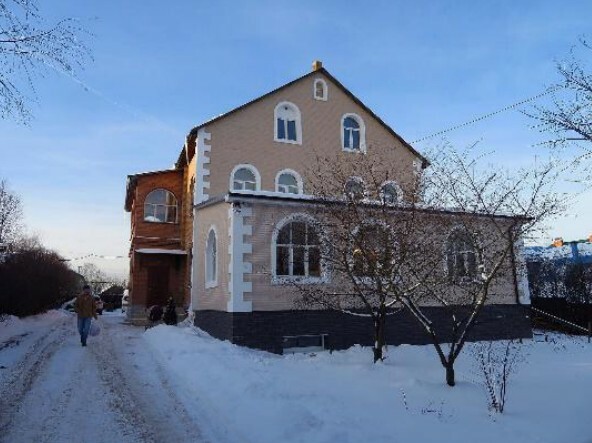 One of the online courses the devotees had taken was “Why Religious Movements Succeed or Fail” and now we discussed in person the ten sociological propositions predicting growing, stable, strong religious groups. The position and role of Global Duty Officer (GDO) was explained, as well as the plans for the formation of the SABHA (Spiritual Advisors Bhagavata Assembly), the body of gurus, sannyasis, other senior devotees, ladies, youths and area representatives that will review GBC resolutions, propose new ones and suggest topics to the GBC. Which led to a lively exchange on the history and development of the GBC presence in Russia, which saw the gradual shift from foreign leaders to national ones. More work on looking at things in alternative ways – with the help of optical illusions and brain teasers – and a reminder of the essence of strategic planning completed the first six days. During next three days leaders had a series of meetings with HH Bhakti Chaitanya Maharaja and analyzed in depth the responsibilities and functions of the Governing Body Commission, of the GBC Zonal Secretary, of the Zonal Supervisor and of the Temple President – as they are explained in ISKCON Law. On one of those days, all participants took the oath of allegiance according to their role. The next month most of the participants attended the ILS in Mayapur, as part of their GBC College experience, and attended the general plenaries as well as seminars specifically planned for them. This group is expected to graduate from the Zonal Supervisor course in June 2018.